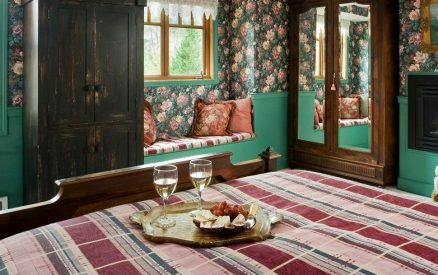 The walls of this ground floor room are covered in a hand painted French floral wallpaper that is reminiscent of a bygone era. 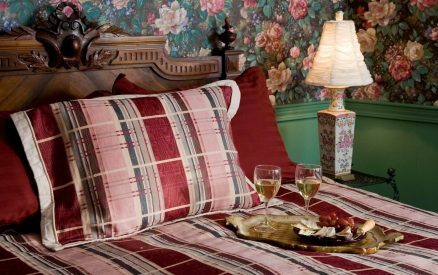 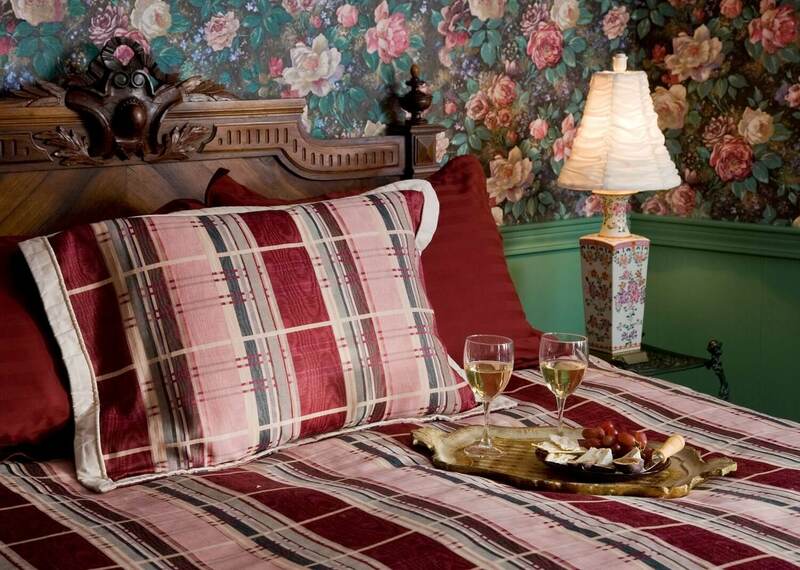 The elegant French bedroom set, composed of a carved headboard and armoire with a beveled mirror, is from the late 19th or early 20th century. 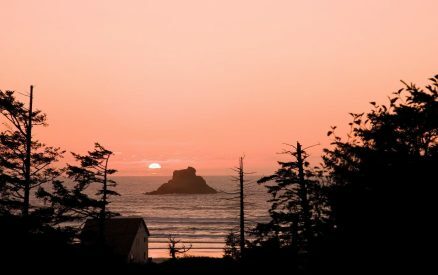 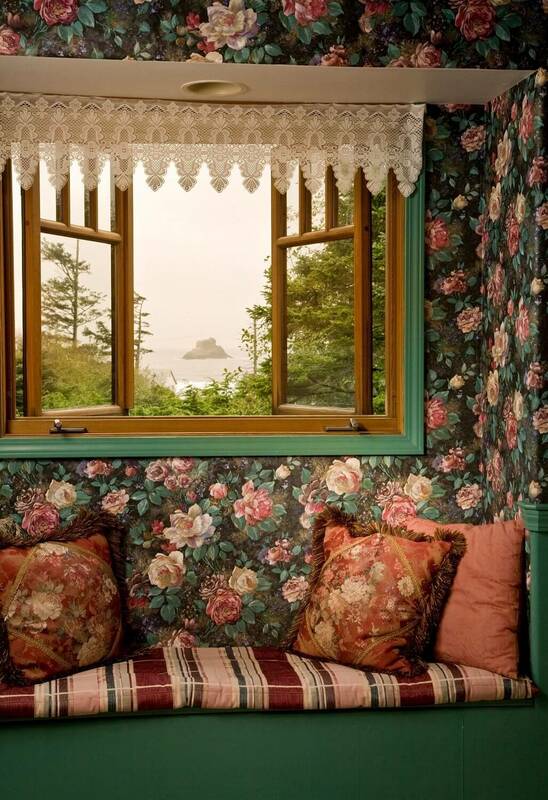 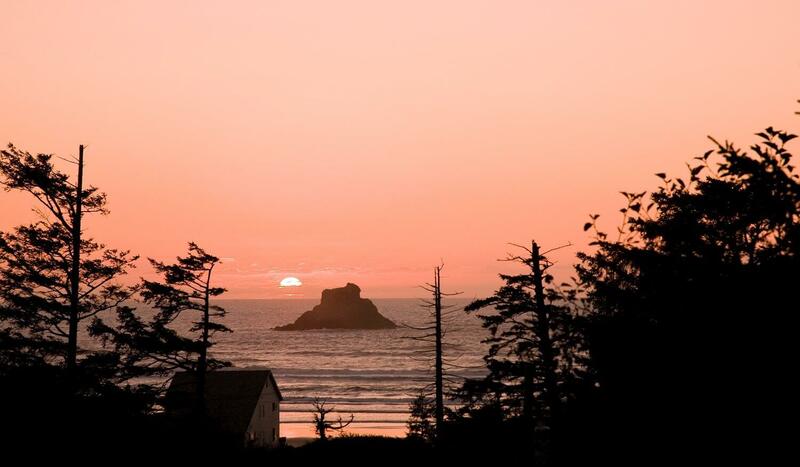 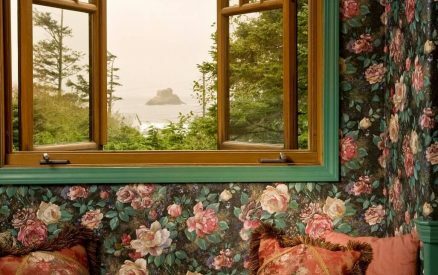 There is a picture perfect view of Castle Rock in the ocean from the cozy window seat.